The Alternative Board keeps close tabs on changes in the pulse of small business owners -- we like to know what entrepreneurs are looking forward to, what they’re apprehensive about and how they feel about the state of the economy, because often when things improve (or get worse) small business owners are the first to feel it. We recently conducted the biggest survey of entrepreneurs in TAB’s history, questioning small business owners across a multitude of industries and with a variety of annual revenue levels. It gave us a clear snapshot of where their companies are today, how 2013 compared to 2012 and what business owners expect to see in 2014. To give you an idea of the experience levels surveyed, the majority of small business owners have considerable experience as entrepreneurs - a full 86% have owned their businesses for at least eight years. Around one third own family-run businesses. Compared to 2012, 64% of TAB members and 56% of non-members saw increased profits in 2013. 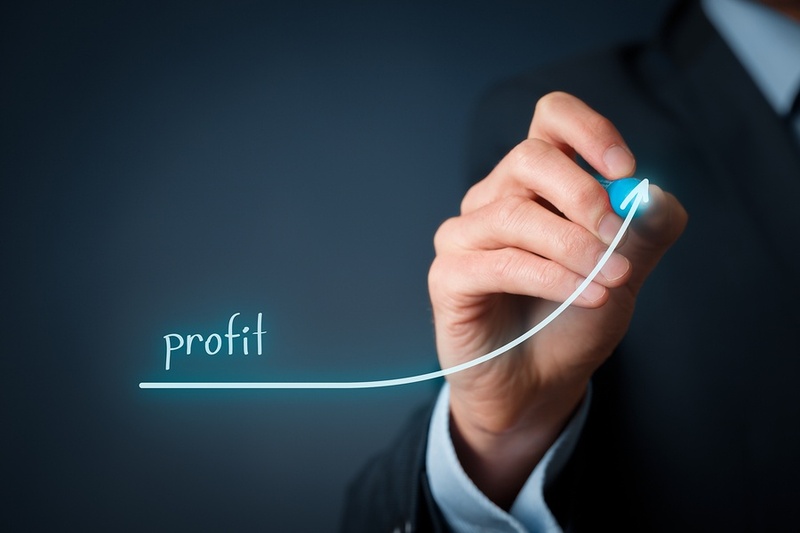 An impressive 76% are expecting profits to increase in 2014, and 81% are looking forward to an increase in sales revenue. Only 1% of small business owners reported that they were expecting sales revenue and profits to sharply decrease next year. Even better, the majority of entrepreneurs expect that it will be easier to access credit this year in order to grow their businesses. This is one area where strategic planning and advisory boards seem to have a big impact: 62% of TAB members believe it will be easier to access credit in 2014, while only 53% of non-TAB members feel the same way. According to the entrepreneurs we surveyed, it looks like 2014 is shaping up to be a great year for business. In 2013, 44% of TAB members and 25% of non-members added new staff. When asked if they planned to hire more full-time employees in 2014, the estimations got even rosier: exactly half said that they were indeed expecting to hire more people this year. Most of the remaining anticipated that their staffs will stay the same size—44% said they expect no change at all. The better your predictions, the better your decisions. How did business owners forecast their next year’s expenditure report? Of the foreseeable increase in costs, 43% reported the greatest increase would be in employee salaries, and 28% reported employee benefits. When we asked what they identified to be the greatest threats to their businesses, entrepreneurs cited increasing healthcare insurance laws, sluggish demand and shaky consumer confidence. The biggest overall threat that business owners identified, however, was “government”, which 57% of all entrepreneurs surveyed listed as their number one concern. 65% of U.S.-based entrepreneurs said Government was the biggest threat to small businesses like theirs within their region. 61% of Canadian entrepreneurs said Government was the biggest threat to small businesses like theirs within their region. 31% of U.K.-based entrepreneurs said Government was the biggest threat to small businesses like theirs within their region. We also noticed a significant trend: the more annual revenue a business brings in, the more the owner of the company is likely to list healthcare as a top concern – and that concern is growing, at least for American business owners. Last year, 21% of U.S.-based entrepreneurs said that healthcare was the biggest threat to businesses within their region, and this year that number jumped up to 36%. Healthcare costs just don’t have as much of an impact on businesses in Canada and the U.K.
On the whole, entrepreneurs gave a very positive 2014 economic forecast. Most are preparing their operations and staff for increased sales, and many of the small business owners we surveyed believe that their profits will respond in kind. The survey also revealed that members of The Alternative Board were more likely than non-members to anticipate increased profits in 2014. This is not a coincidence. The Alternative Board works to turn the self-employed into business owners, and there are several crucial differences between the two. Which one are you? Find out where you stand (and where you’d like to be) with this chart. Our extensive experience has shown that peer advisory boards and small business coaches are the most valuable feedback tools for business expansion —and the majority of entrepreneurs we surveyed concurred. Contact us today to discover the resources that are available to make 2014 your highest growth year yet!